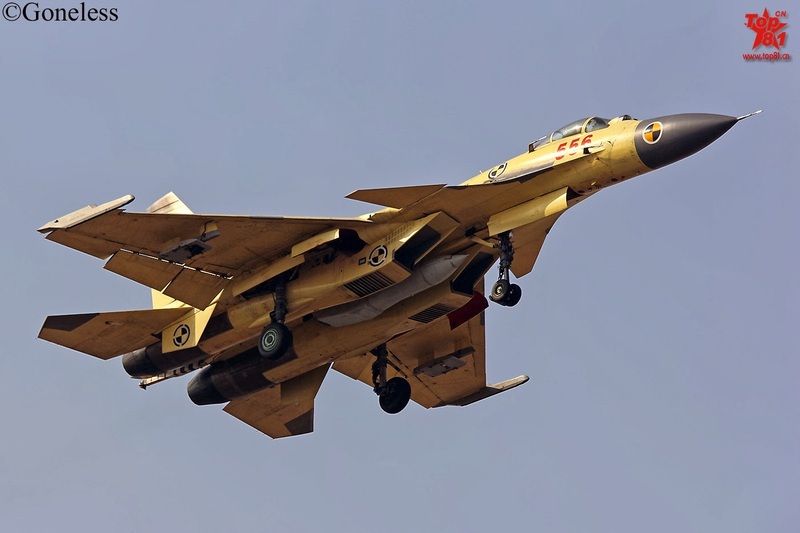 Shenyang J-15 S/N 556 carrying a Russian UPAZ-1A buddy refuelling store. Click on thumbnail for hi-res photo. Xi'an H-6G Badger bomber carrying the YJ-12 supersonic anti-ship missile. 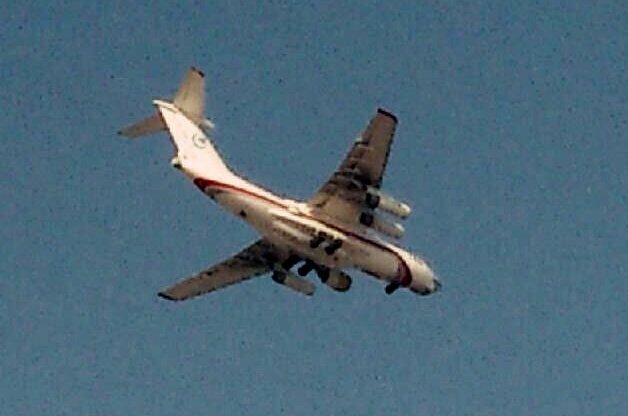 Chinese Il-76MD in flight with a new high-bypass turbofan engine (WS-20?) mounted on the port inboard station. This will most likely be the engine that will eventually power the Y-20 airlifter, with the engine having started aircraft tests several months back and expected to enter into service in 2015. 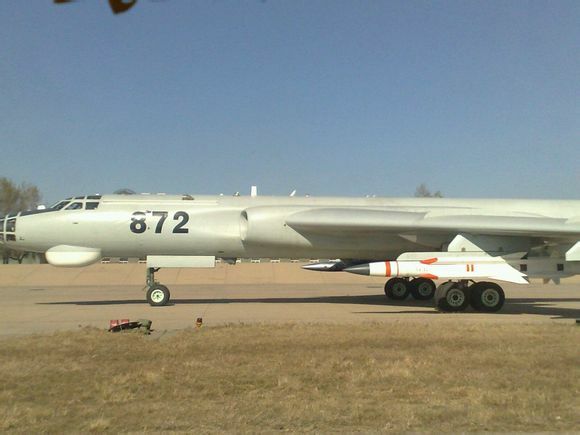 Both the H-6G and Il-76 pictured are both test aircraft, belonging to the China Flight Test Establishment (CFTE) based at Xi'an-Yanliang. 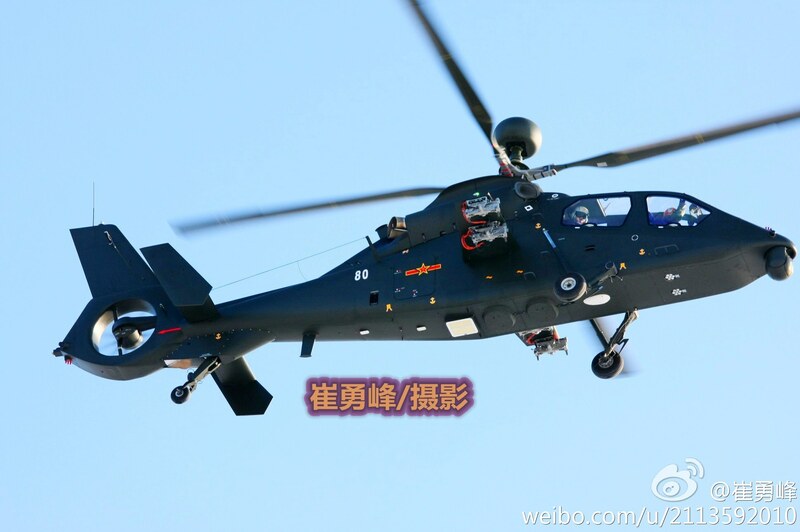 [EDIT 09JAN2014]: And the reveals are not just restricted to fixed wing aircraft. 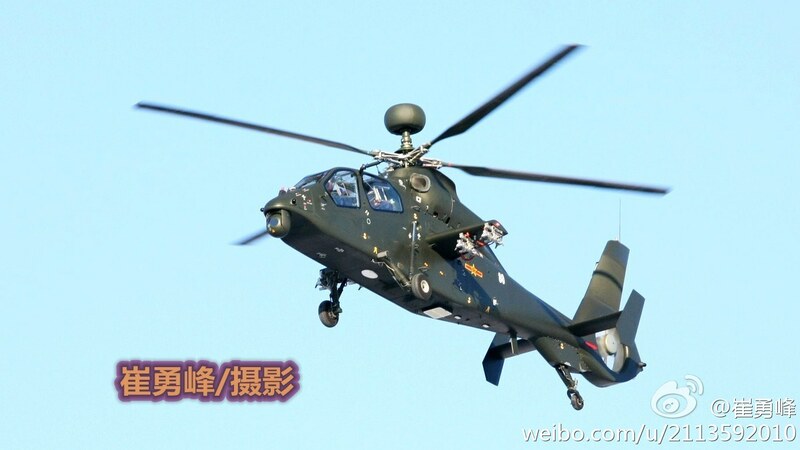 Yesterday saw photos of a Harbin Z-19 light attack helicopter carrying what appears to be a roof-mouted radar similar to the Longbow millimetre wave radar carried by the AH-64D/E Apache. 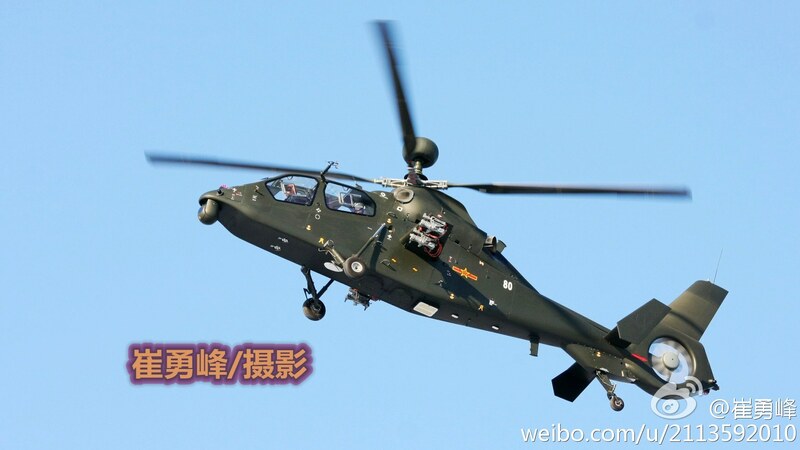 As Greg Waldron over at Flightglobal notes, we are not sure if the radar is a prototype, mockup or the real deal. But it does say a lot about China's ambitions. More pics here and here. And not strictly 2014, but while most of the world was celebrating Christmas or nursing Boxing Day hangovers in 2013, China's Harbin Z-20, which has been likened by many to be a clone of the Sikorsky UH-60 Black Hawk, made its first flight.